Can Mrs Lance Rawson fix my Heston Blumenthal problem? 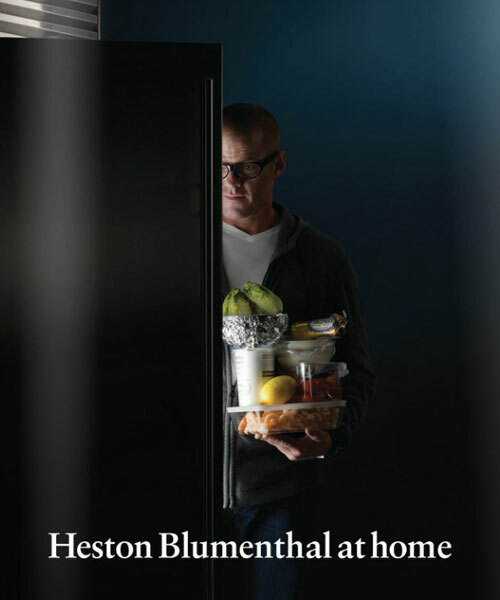 Yesterday, my copy of Heston Blumenthal at Home arrived in the mail. Study be damned! Deborah Jean Kasnitz’s Work, Gender and Health Among Southern Italian Immigrants in Melbourne wasn’t going anywhere, so, tempted by Heston’s dear face peeking into his fridge on the cover, I decided I could have a quick flick through. Study or Heston? What would you choose? Three hours later, after delighting in the Salted butter caramels wrapped in edible cellophane, wondering aloud if the Scallop tartare with white chocolate really worked as a flavour combination, marvelling at the regal purple colour of the Red cabbage gazpacho and wishing I could try a big scoop of that famous Bacon and egg ice cream, I had a problem. I needed a sous vide machine, a vacuum packer, a cream whipper and a pressure cooker. And a digital probe. And maybe a refractometer too. And I needed them now. You wouldn’t send an astronaut into space without the right equipment, so how could I be expected to go boldly into the new world of scientific kitchen exploration without them? Answer: I couldn’t. The husband is a creature of appetite, believe me, and not to be approached upon any important matter, such as a new bonnet or a silk dress, on an empty stomach. This is good news. Against all the odds, I actually have a husband! So if I want a water bath, all I have to do is feed him well? Man must be cooked for. He’ll do without shirt-buttons, and he’ll do without his slippers, but he will not do without his dinner, nor is he inclined to accept excuses as regards under- or over-done meals after the first week or so of the honeymoon. If there be any young girls reading these pages who are contemplating marriage in the near future, take an old wife’s advice and learn to cook, for only by feeding him well will you succeed in gaining your husband’s respect and keeping his affection. Let me suggest to prospective brides that they should stipulate for a stove if marrying a Bushman. A man will promise anything before marriage, very little after. Or, here’s a novel idea, maybe I could work and earn my own money to buy a sous vide machine? Nah, Mrs Rawson wouldn’t approve, and I just couldn’t let her down. Blumenthal, Heston. Heston Blumenthal at Home. London: Bloomsbury, 2011. Rawson, Mrs Lance. The Antipodean Cookery Book and Kitchen Companion. Melbourne: George Robertson &​ Co., 1895. 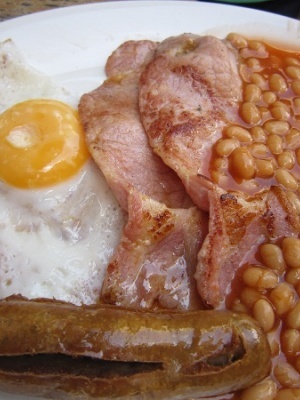 English breakfast in London circa June 2010. Is it that different from what Isabella Beeton is proposing? Btw if you have any interest in Mrs Beeton at all, and even if you don’t, be sure to read Kathryn Hughes’ biography – once you’ve read it, you’ll never think of Isabella in the same way again.